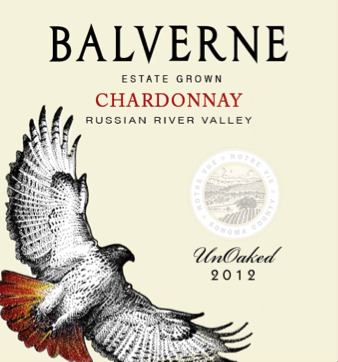 Healdsburg, CA – Balverne Winery, hailing from a 710-acre historical property sharing the Russian River and Chalk Hill AVAs, has launched a new series of wines in select U.S. markets this summer. Featuring wines crafted by noted Sonoma County based winemaker, Margaret Davenport, the inaugural launch includes a 2012 Rose of Sangiovese, Chalk Hill designated ($19.99 SRP), a 2012 Russian River Sauvignon Blanc ($24.99), and a 2012 Russian River Chardonnay ($24.99). A 2010 Russian River Pinot Noir produced by Davenport’s predecessor winemaker Julie Lumgair completes the portfolio ($34.99 SRP). Currently these wines are distributed in CA, NY, FL, IL, TX, NJ and MN. As the brand increases inaugural production, more states will be added to the distribution network. Balverne wines hail from the Windsor Oaks Vineyard property, which was originally part of the Rancho Sotoyome land grant of 1841 and was later acquired by Antonio Perelli-Minetti, who was the first to plant grapes on the site. In the 1920’s, the estate was used as a summer residence, then purchased in 1972, replanted to grapes and winemaking was begun under the name Balverne. Balverne was a well-known wine brand throughout the 1980s, when it was poured at the White House and served in the finest restaurants across the country. The wines were made by two young Davis graduates, Doug Nalle and John Kongsgaard. In 1992, the property was purchased by its current owner, Bob Stein, who renamed the property Windsor Oaks Vineyards. The property was successfully managed as a vineyard, selling fruit to over 35 highly regarded wineries throughout the state. Winemaking resumed on the property in 2005 under the Windsor Oaks name and in 2012, Bob and his wife, Renee, made the decision to honor the legacy of their beloved property by re-introducing the Balverne name. Today, the wines are produced byrenowned winemaker, Margaret Davenport, and original winemaker, Doug Nalle, has joined the team as consulting winemaker. Today in addition to providing top quality grapes for the Balverne line of wines, the property, which has 50 blocks within its 225 acres of vines, continues to sell grapes to a number of well regarded wineries within Sonoma County including Flowers, Rockwall and Sonoma Cutrer to name a few. A significant portion of the acreage on the property was given over to open space in participation with the Sonoma County Open Space District. Designated Forever Wild, this part of the property forms a natural greenbelt and riparian corridor where many flora and fauna thrive. In tribute to that fact, the Steins have a majestic Red Tailed Hawk design on their label, created by noted artist Bob Johnson. Red Tailed Hawks preside over the expansive property, acting as nature’s solution to vineyard pests. Earlier this past August, members of the media were invited to an elegant luncheon served at one of the property’s many stunning overlooks. Curated by Renee Stein, a lifestyle consultant and interior designer in addition to being a co-proprietor of the property, the design and décor reflected the Provencal sensibility that is Sonoma country living. Guests were also treated to an “air show” by several local hawks and falcons in tribute to the red tailed hawk on the Balverne label and the Forever Wild designation on the land. For more information on the property and the wines, please visit http://www.balverne.com. For media inquiries, images and interviews, please contact press@charlescomm.com or Skye Morgan or Kimberly Charles at 415| 701-9463.